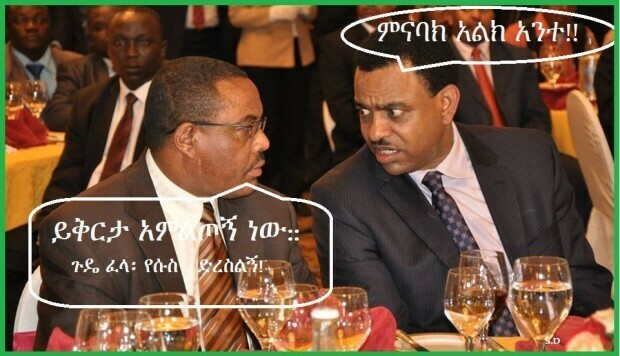 With this you can conclude that Hailemariam is the only non-Tigre in the palace. To say they have turned Ethiopia into Hagostan is an understatement. Yet they want to blame poor OPDO for all things going wrong. Abay Tsehaye was accusing low rank OPDOs of land grab. Look at who is devising the policy. They are also telling the police the killing of ‪#‎OomoProtesters‬ was a mistake of OPDO. Yet look at who is in charge of security policy, military and intel. Those who complain when we decry Tigrean monopoly of the country need to look at these facts and shut the hell up. Next articleG7/ Birhanu Nega’s confused reaction to OromoProtests reaches its natural conclusion.